Day two of penguin week here on the blog and today I’m going to talk about my second favourite type of penguin, the emperor, I know nothing of the history of these extraordinary birds but I’m happy to guess that they are known as emperors simply because of their posture, size, and because they are incredibly brave. It’s quite surreal down south, the wildlife there is not only abundant and beautiful but inquisitive too, the animals havn’t learnt to be scared of humans and literally just walk up to you and come and see for themselves what’s going on, this is clearly shown in the pictures below. 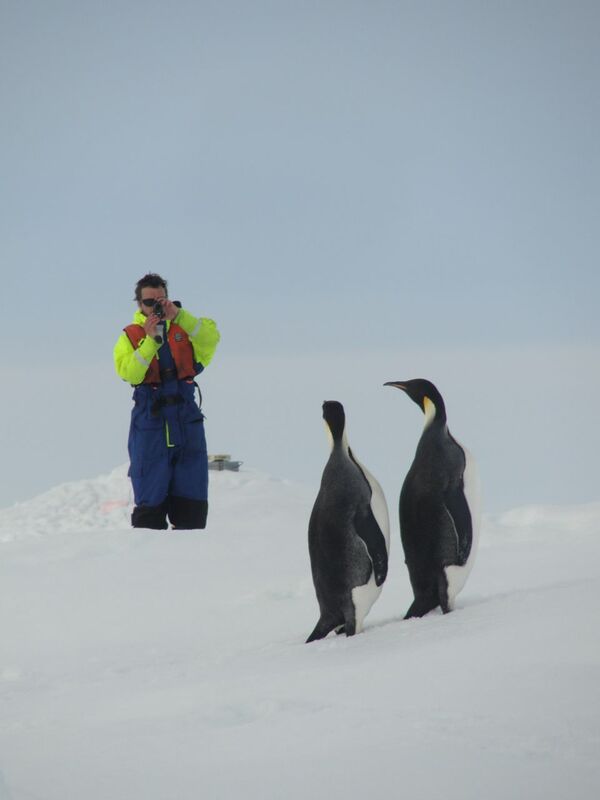 From these pictures you will see many of the penguins are close enough to touch, I will assure you now, we DO NOT touch any of the animals we see. They are wild and every effort is made to reduce our affect on their environment, no animals are fed or handled in anyway and this is particularly important during breeding or moulting. My absolute favourite characteristic of the emp is their squawk, a distinct cry that you can hear from surprisingly far away, very impressive and unfortunately indescribable, I may have a video or two I can post when I next go on leave. 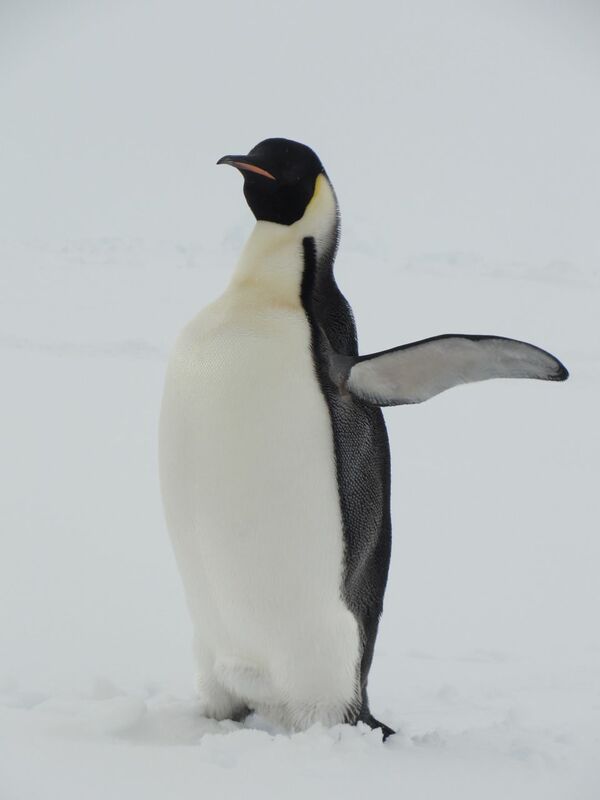 Emperors are truly birds of the high Antarctic, seldom seen in sub-Antarctic waters. They are deep divers, hunting fish and squid in the twilight zone, mostly at about 50m but can go as far down as 500m if they find something particularly tasty. 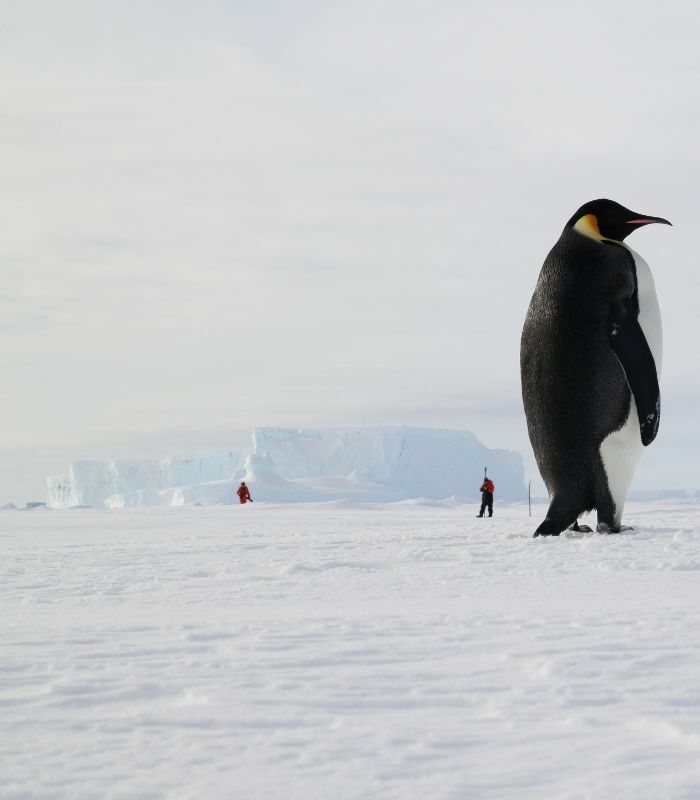 Emperors breed on sea-ice, in the coldest conditions endured by any bird and never touch land their entire lives. Arriving in March or April, they congregate on fast-ice at the edge of the continental coast and begin a long walk in to the chosen breeding ground. Courtship involves lots of trumpeting, displays of their golden flashes and pair bonding. They do not establish nests, merely owning only the ice around them wherever they stand. 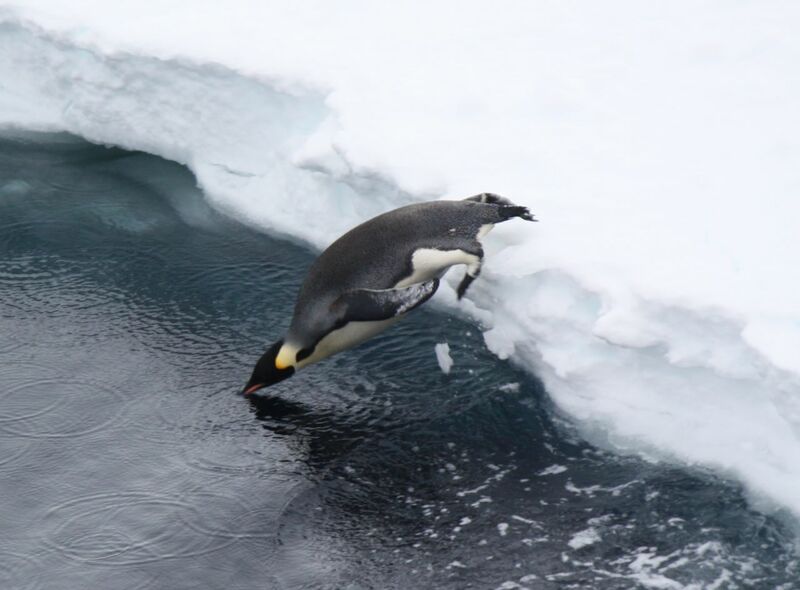 A single is laid in May/June, the coldest time in Antarctica, uniquely among seabirds the male takes responsibility for the egg whilst the mothers go and eat for 60-70 days, the entire incubation period. 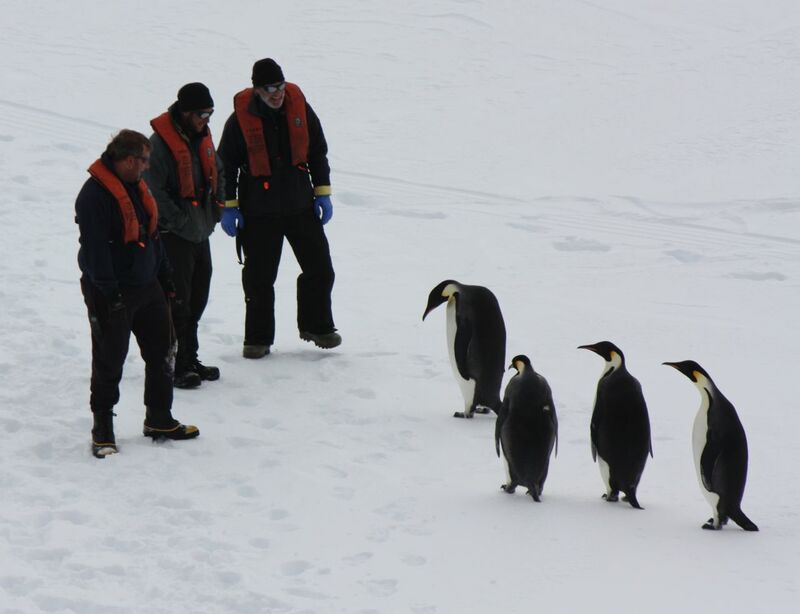 The male cradles the egg on his feet and under his belly fat, he will also huddle with the other males to shield each other from the elements ever circling about to ensure no penguin stays exposed on the outside of the huddling birds for too long; a beautiful but logistical nightmare! The female returns with a full crop of food and relieves the male so he can also go and feed which, by the time it’s taken for him to leave the sea, walk to the breeding ground, incubate an egg and walk back totals around 120 days or so and he will have lost nearly 50% body fat. He feeds for roughly 6 weeks before going back to continue his parenting duties. 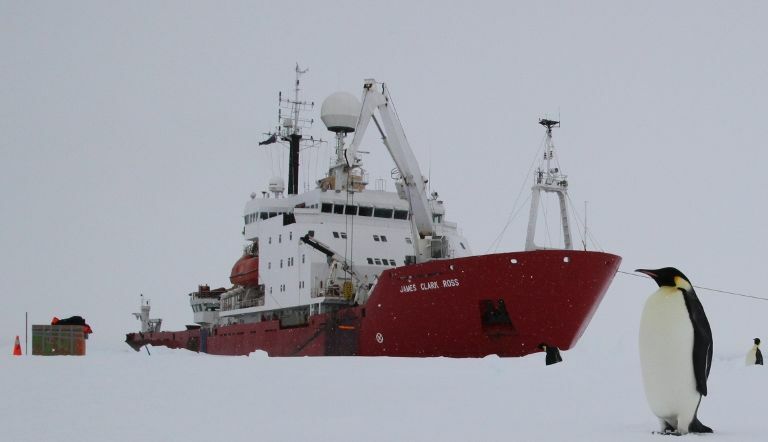 The chicks, fledging in Antarctic spring at around 5 months old are carried out to sea as the ice breaks into floes and by then are fully independent of their parents. They must moult into their diving plumage before their floe degenerates, introducing them to the sea to fish for their own food. Various photo credits, thank you to Pete, Derya & Kerri for sharing their pictures. I hope you enjoyed today’s post and pictures. 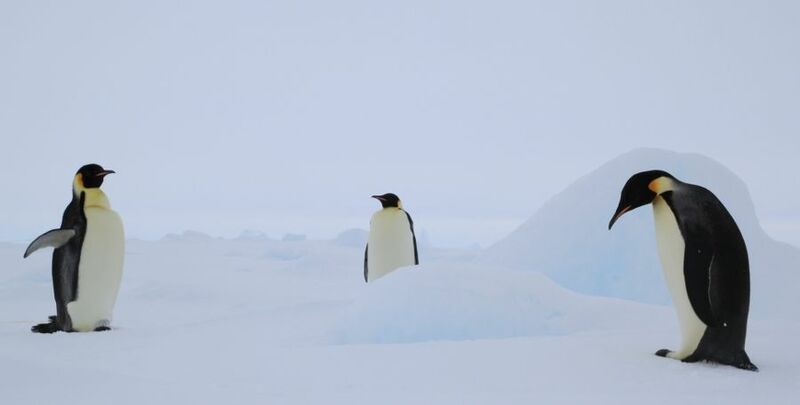 Probably the biggest penguin we found. This entry was posted on Monday, November 26th, 2012 at 3:50 pm by The Mariner. You can follow any responses to this entry through the RSS 2.0 feed.